Phasya brings new drowsimetry and oculometry solutions to research, medicine, and industry with the aim of improving health and safety. – monitoring of physiological/cognitive state of an individual, in particular drowsiness and vigilance, by analysis of physiological parameters. 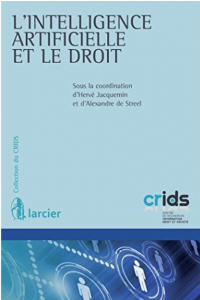 Hervé Jacquemin is specialized in Commercial Law and IT Law, particularly in the field of IT contracts and electronic commerce, media law, data protection, trade practices and consumer law. He is the author of numerous publications in these areas. Spécialiste en e-management et en stratégie de la relation client. Verbolia has invented the concept of SEO-as-a-Service: a powerful engine based on Natural Language Generation to maximize SEO potential of your content. This engine proved its efficiency to generate long-tail organic traffic for classifieds websites (10M monthly UV and growing). Coordination du fonds d’investissement wallon pour les startups numériques. Aurore’s expertise in Technology and Privacy Law is geared towards enhancing data governance in Smart City projects and GDPR compliance schemes. Mission : grow the business and the R&D collaborations with innovative companies by bringing simulation & related numerical technologies into the design and operation stages of a new product, process or service. Doctorat dans le domaine des grands graphes. Dispense un cours d’introduction à l’intelligence artificielle et un cours relatif aux structures de données couramment utilisées en intelligence artificielle.